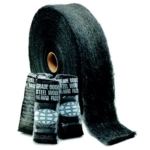 The most extensive product line of steel wool abrasive and polishing products. 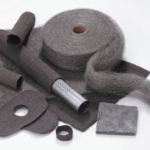 Conventional steel wool products such as hand pads, floor pads and steel wool reels as well as new finishing products are available. GMT produces many products for the automotive industry including, steel and non-ferrous fibers for brake linings, stainless products for exhaust systems, and materials for gaskets and sealings. Our Filtratiton products consist of sintered metal media, and conventional metal wool separation products. All products are available in a wide array of alloys. 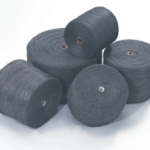 Our extensive line of steel wool products for photographic silver recovery including configured reels and fibers. We also offer Electrowinning products for the mining industry. 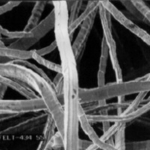 Many unique products for the purpose of reinforcement where metal fibers or wool are required. This includes concrete, structural panel and fiber composite applications. 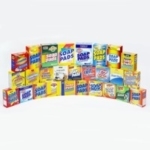 Private label antimicrobial soap pads produced in the USA for consumer and food service markets. GMT offers it’s own well-known brand Dura Blu™ which has a long history of quality and reputation. 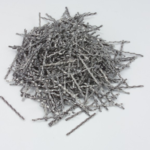 A full line of steel wool products for industrial applications and janitorial needs, offering the best quality steel wool products in the market. We have a large network of distribution for convenient and fast delivery.